THE IMPACT OF homelessness on children living in emergency accommodation should be examined by the Ombudsman for Children, Social Democrats TD Catherine Murphy TD has said. New figures from the Dublin Region Homeless Executive have showed there were 2,423 children in emergency accommodation in the Dublin region at the end of July, an increase of 150 children since June. 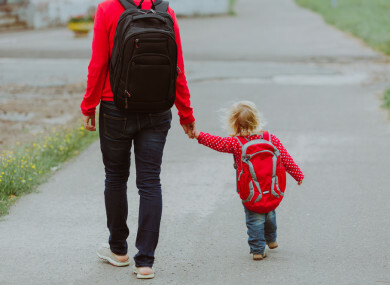 “It must be heartbreaking for families sending their children back to school this week, fearing that they may face being teased or ostracised because they are homeless. This can only add to the already enormous daily stress endured by homeless families,” said Murphy. The spotlight is on the issue as children return to school this week, she said, adding that thousands of homeless children are traveling to school from emergency accommodation including hotels and B&Bs. So much emotional damage is being done to homeless children in their early years because they can’t enjoy the normal everyday things that many of us take for granted – like bringing friends around for play dates or having a kitchen table to do their homework at. Murphy said the Ombudsman for Children should use his powers to carry out an investigation to assess and examine the impacts on children of being homeless. Earlier this summer, the Ombudsman for Children’s Office said homeless children, particularly those with disabilities, were not always prioritised by the State. Niall Muldoon, the Ombudsman for Children, has also raised concerns about the conditions in which homeless children are living in emergency accommodation. Children’s Minister Katherine Zappone said the latest figures are “very distressing”, adding that it is a “wake-up call” for government. Murphy said the emotional damage being inflicted on these children through no fault of their own must be assessed. Email “Emotional damage to homeless children should be examined by Children's Ombudsman”. Feedback on “Emotional damage to homeless children should be examined by Children's Ombudsman”.